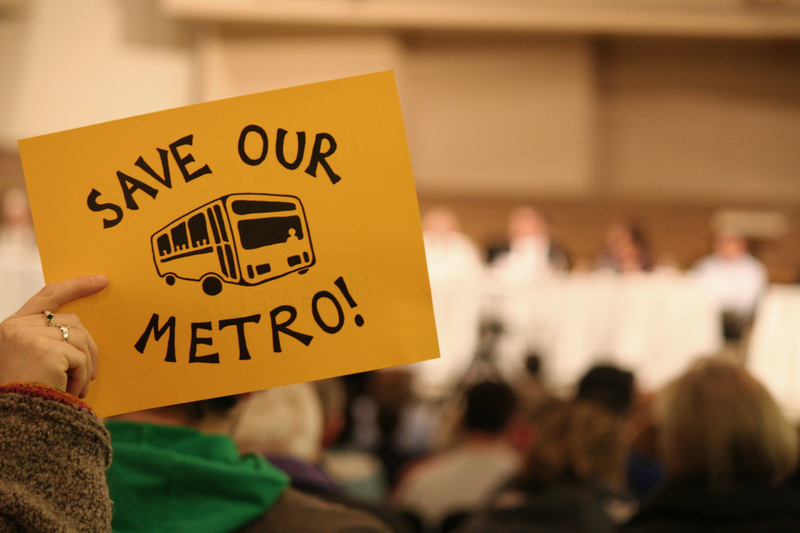 Chants of “Save our Metro!” greeted state legislators who came to Seattle on Monday for the “transportation listening tour” session. About 450 people attended the three-hour meeting. 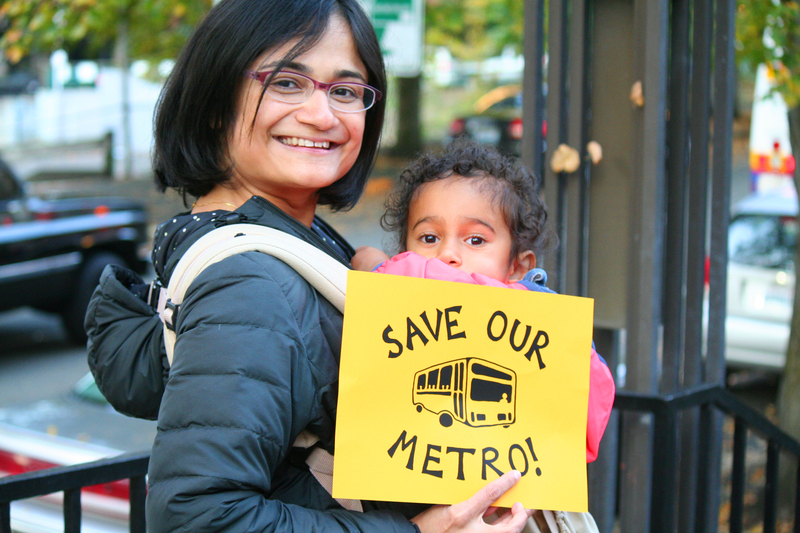 A steady stream of transit users, business leaders, elected officials and others told their stories of transportation needs in King County. 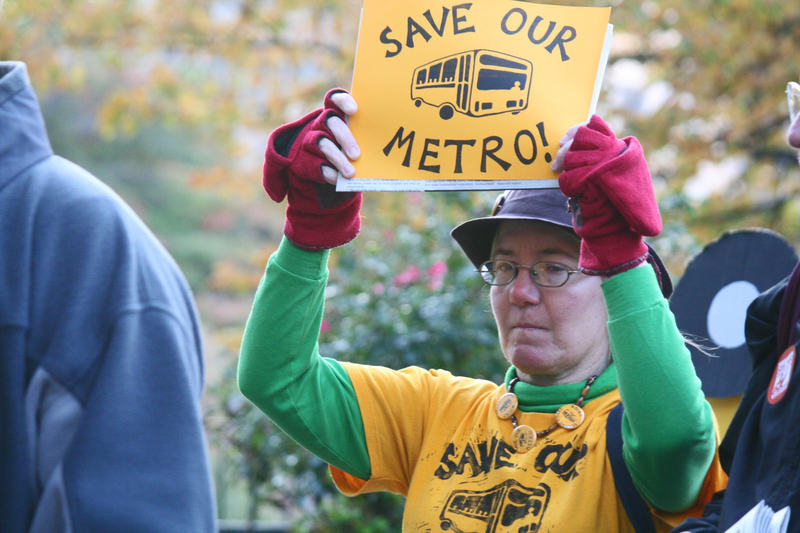 Many spoke about the importance of the service Metro Transit provides. The hearing was recorded and is available online through TVW. 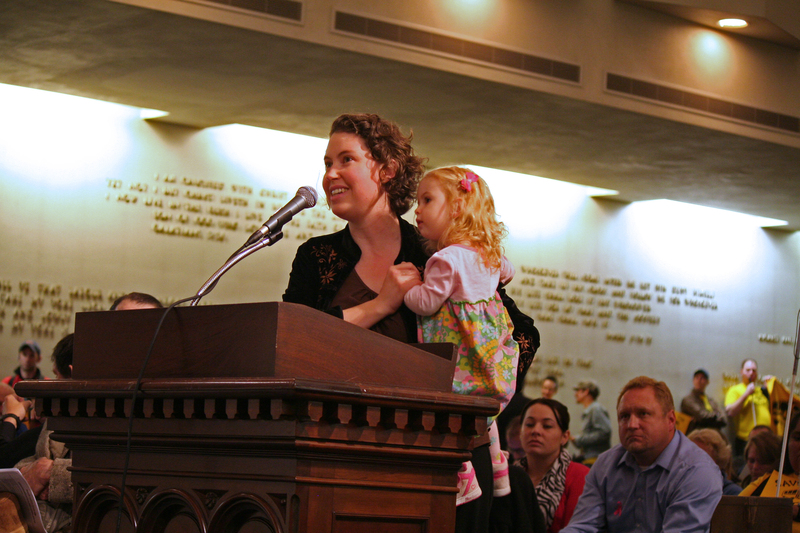 Celeste Gilman and her daughter speak in support of transit to state leaders at a hearing in Seattle Oct. 14, 2013. People sign up to speak at a state transportation hearing in Seattle Oct. 14, 2013. 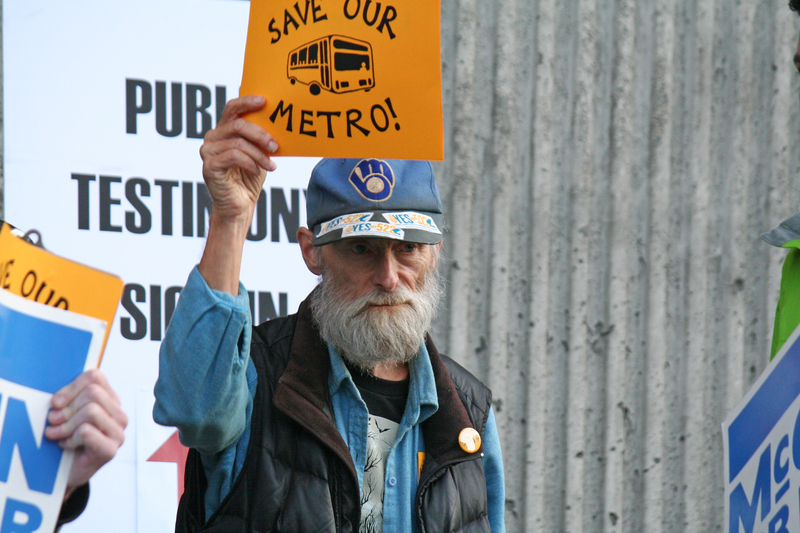 A transit supporter outside a hearing Oct. 14, 2013 in Seattle where state legislators listened to public input on transportation needs. So lets see, Olympia within a few minutes finds billions to give Boeing in tax cuts, but the lazy ** can’t put together a transit package. People, products, services moving as efficiently as possible equals jobs and a strong local economy, stop the **, put together a transportation package! With the state legislature so far failing to provide leadership, why aren’t county and city officials getting together to prioritize funding for existing service over expansion/addition of pricey new light rail and street car extensions? Also, is the 600,000 hours of cuts supposed to help close the $15 million capital gap (of the $75 million total) or is this just to close the $60 million operating funds gap?